A Washington, D.C.-based development firm has joined the party in Scott’s Addition. 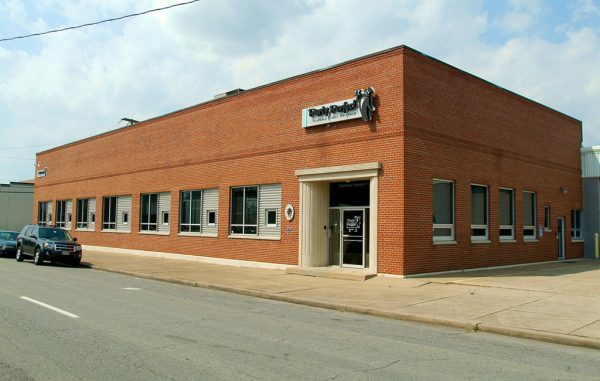 An entity tied to Dalian Development, a company with a background in residential and mixed-use projects in dense areas, last week purchased the Party Perfect building at 3210 W. Marshall St. for $3.8 million. Jeff Johnstone, owner of the locally based party supply company, bought the 50,000-square-foot building in 2010 to house Party Perfect, paying $2.1 million. The building and its 2.6-acre property was most recently assessed for $2.1 million, according to city property records. Dalian, which is making its first inroads into the Richmond market with this deal, could not be reached for comment by press time. The privately-held firm was founded in 2012 and has developed nearly 1,000 apartments throughout the Southwest and East Coast, according to its website. Its new Scott’s Addition asset is positioned for a dense residential or mixed-use project given its recent mixed-use business district rezoning, which allows buildings up to 12 stories and reduces parking requirements. While no plans have been filed for the site, a possible prototype could be the company’s recently completed Dalian on the Park development in Philadelphia, which includes a 10-story, 293-unit apartment building with a ground-level Whole Foods, along with 43,000 square feet of external and internal amenity space that includes a pool. The firm also has another apartment community – Dalian Monterrey Village – set for construction in San Antonio. Johnstone said Party Perfect will remain in the building, along with co-tenant Brass Beds of Virginia, both of which have a three-year lease in place. Like many tenants and property owners in Scott’s Addition, Johnstone said the neighborhood was quite a different place when he bought the building from Brass Beds of Virginia eight years ago. As Scott’s Addition began transforming into an entertainment, and residential and commercial hub, Johnstone said he was approached by Dalian about two years ago. Looking to take a backseat from day-to-day operations at Party Perfect, Johnstone shifted most of the daily business duties to his business partner Nelson Parker and became involved with nonprofit Resurrection Disaster Relief — a faith-based group that conducts emergency repairs to homes for families in need. He ultimatley agreed to sell the property last year in the hopes of focusing on his mission of giving back to the community.